So you think bowls is about as interesting as counting sheep? 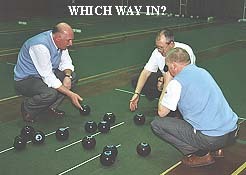 If so - you haven't tried Short Mat Bowls, which is friendly, social but VERY competitive! This International Index page contains details of current International contacts for each of the national governing bodies. Clicking on a nations flag will take you to their known details and their known club websites. side of the @ symbol in email address's. Therefore we have substituted the # symbol into our email address to defeat the spammers. If you want to contact us by email please replace the # symbol with @ in your email program. 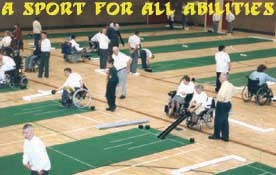 THEY ARE SIMPLY THE BEST KNOWN CONTACTS AVAILABLE FOR SHORT MAT BOWLS. ALSO, THE CONTACTS ETC. ARE THE LATEST DETAILS I HAVE. ANY BROKEN LINKS ETC. PLEASE LET ME KNOW. A few clubs and an informative website but no National Association notified as yet. Hillerodsalle 33, 3400 Hilleröd, Denmark. Psykoterapeut MPF & Football Referee Observer, Á Hólmanum 3, FO-370 Miðvágur, Faroe Islands. This site was created by Bob Weafer.